The staff was incredibly friendly and helpful, the facility and atmosphere were very clean and welcoming, and the location was easy to find. Very close to Termini, meaning that finding transport is incredibly fast and easy. Extremely affordable, especially with how expensive the city itself is to travel around in. I will definitely be staying here again in the future when I make more trips to Rome. 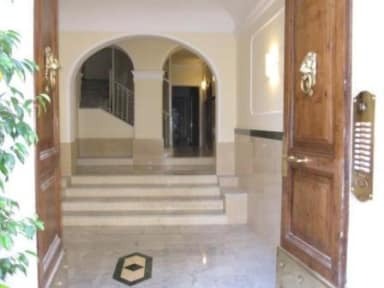 Good basic accommodation with convenient access to train and metro station. Excellent service. I would have paid more than I did for my stay. Cressy is in a good location of Rome, just a five minute walk away from Termini station, and it seems safer than another part of the city that I stayed in. It was clean, with entry to the building and room by keycard. It's a quieter hostel. If you want to use the wifi, you usually had to be closer to the reception area as the signal was not so strong from my room. The staff were friendly and helpful. 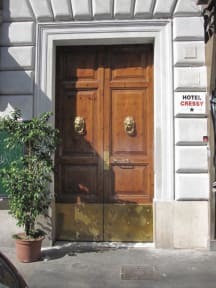 If you're looking for a quiet, clean place to stay near the Termini, I would recommend it. A nice, quiet place to sleep. Staff seemed friendly, room was clean, and we were able to walk everywhere we wanted to. It was a nice simple place to be. I was in a shared room and as there was not lockers you always feel a bit unsafe. But the place is clean the the lady at the front speaks fantastic english with no accent at wall. I didn't see young people here, so if you are looking for a young place it is not here. If not for the time of my arrival and location, I would not prefer to stay here. There were no lockers in our dorm, only 1 cabinet to share with 4 others. No electrical outlet for each bed, only near the table and entrance which means I’ll leave my phone charging while sleeping and hoping it will still be there when I wake up! You have to be really careful with these type of places. They are cheap but they start adding all kinds of fees when you arrive and you obviously don't have a choice but to pay. Its never the total so you think its cheaper. No hot water even after telling the staff that the tap is running only on cold water. Serious staff courtesy is required, you should know how to behave with your guest.